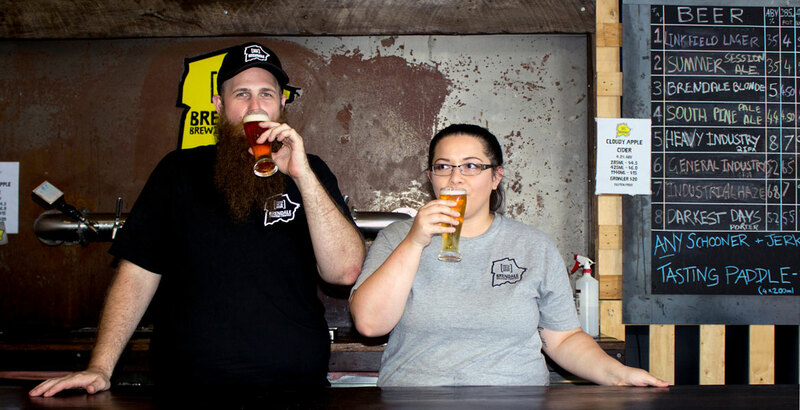 Ryan and Elsie bought the brewery back in September 2014 when it was known as Brew by U, a brew-it-yourself style operation where visitors could make their own affordable beer to take home. But it wasn’t long before they realised the added potential in providing locals with something other than the beers found on tap elsewhere in their part of Brisbane. “We bought the place looking for an escape from our day-to-day desk jobs. We wanted to provide the local customers with a taproom where they could enjoy quality beer at reasonable prices. 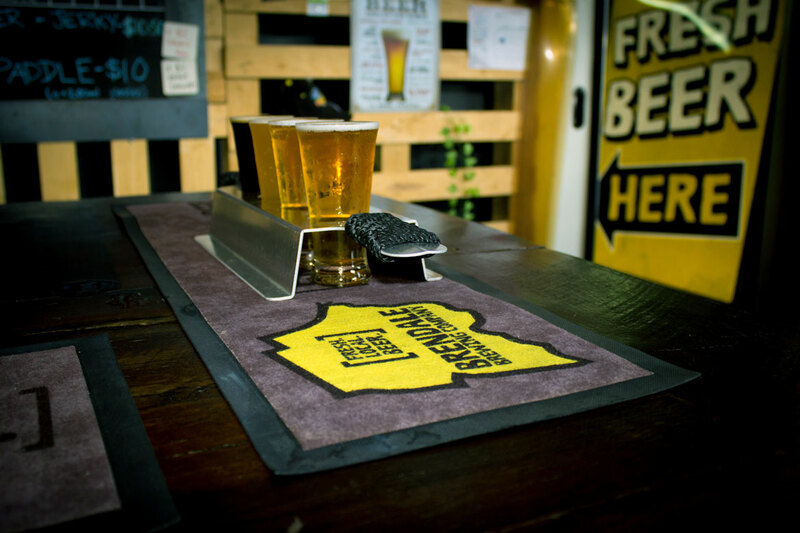 Something different to the local RSL or corporate owned bars,” Ryan says. 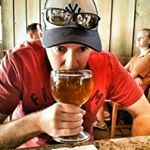 It took a lot of work but by September 2016 they had turned a simple brew-your-own setup into a taproom/brewhouse for the Brendale community. 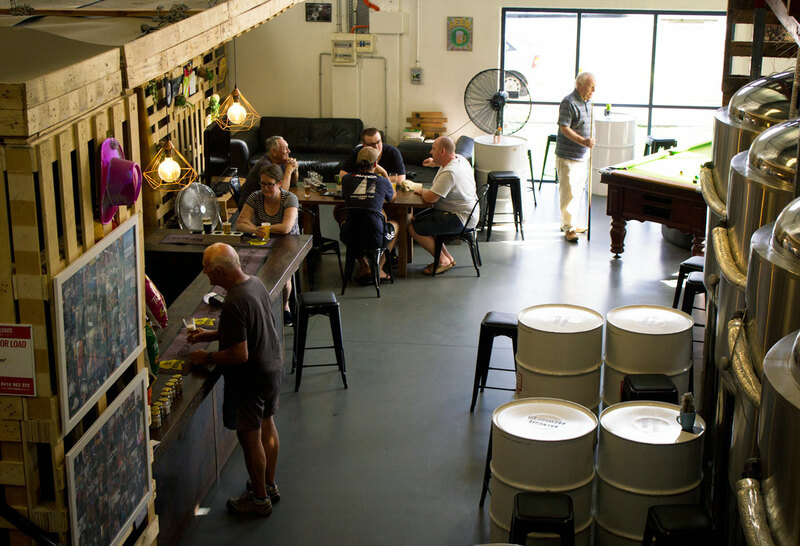 And, though they have come a long way since then – ceasing the Brew By U operation in May 2018, upgrading their equipment and becoming the Brendale Brewing Company – they maintain that their focus is still local. You won’t see them at big craft beer festivals, although the word is slowly getting out. Elsie says: “At the start, we didn’t want to be greedy with our pricing and just be fair. Though you will find a large portion of local workers from the Brendale industrial hub among their regulars, Ryan says they have been welcoming a broad cross-section of the community from all walks of life as well as people who are willing to travel for the experience, be it the friendly staff or the unique setup. “The pallet box style of the bar has brought out the Brendale pride in the community," Elsie says. "Pretty much everything in the bar is made in Brendale. From the floor to the bar counters, the beer taps are all made local. 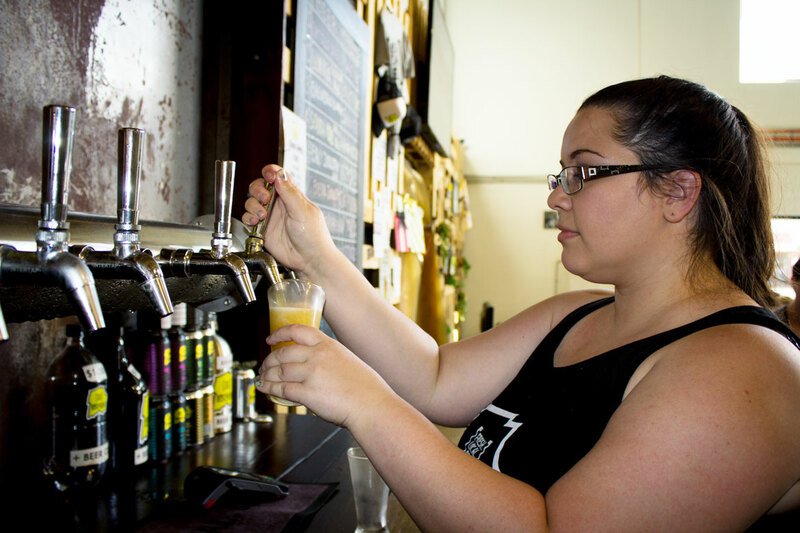 “One of my favourite things about our bar is the little bits and pieces you find on our walls,” she says, with much of the décor coming from regular customers, families and friends. “For instance, the pink hat was from a bucks night from one of our regulars," she says. "From now on he has to put the hat on when he comes through the door, otherwise we don’t serve him. A more recent step forward for this little brewery came in late August, when they began to can their more popular beers, mainly to satisfy customers after more takeaway options, but eventually to give the wider craft beer community a taste of Brendale. Today, you might find the South Pine Pale or General Industry IPA in a few high quality bottleshops around Brisbane or hitting taps at popular locations like The Scratch in Milton or the Cardigan Bar in Sandgate. As for the approach taken to naming their brews, Elsie says: “A lot of our beers are named after local streets. We get a few locals asking us if we can make a beer for their street. [It] gives people some ownership and especially to the customers that have been here since we opened the taproom. "It’s been a big a journey for us the last couple of years and it’s nice to have the support of the community. People see that we are real people, a real family that owns this business.